Christmas is all about fulfilling wishes and we are ready to check off your Christmas wishlist. Do you want the chance to win one of twelve travel worthy prizes? From the 1st to 12th of December, we have partnered with some favourite brands to give away a prize everyday across beauty, fashion and travel. To be in with a chance to win, all you have to do is check our Competitions Page and enter your email. It really is that simple. You can’t beat a matching handbag/purse combo. Mischa’s classic carryall is ideal for transporting all of your daily essentials, and because it’s waterproof it’s hardy too. Plus, the chic leather travel wallet even has an in-built holiday organiser. Read about Mischa Designs here. The Power of Perfume. Luxury British perfume house Clive Christian are offering this luxury set of perfumes featuring three mini versions of their most iconic fragrances for men and women – the 1872 (fresh, woody), No1 (floral, oriental), and X (floral or spicy). Les 100 Ciels, French for The Hundred Skies, makes you feel like you’re floating in 100 skies. This Nevaeh Cashmere Scarf and classic wool cardigan duo are timeless wardrobe staples, and a must for your carry on. Partner with cropped trousers and sneakers for a distinctive and adaptable look. Beautiful cashmere at its heart, all sourced from Inner Mongolia. You’ll definitely enjoy wearing these. Find out more here. We’re a big fan of this beautifully dainty but eye-catching bracelet and earring set from Links of London, made from Sterling Silver and Swiss Blue Topaz. A pretty addition to bronzed skin and summer holidays. See the full Christmas collection here. Up your cleansing game with this gentle yet incredibly effective cleaning brush featuring three different cleansing ‘zones’ suitable for all skin types. With twice the power of the original, this accelerates your cells’ metabolism, leaving skin enviable clean, clear and luminous. 100% waterproof and completely hygienic. Tired and congested skin no-more. It’s a skin care game changer! We’ve teamed up with Discover Leicester Square, Victory House London and Theatre Tokens to give a Citizen Femme reader an unmissable break in the West End. Stay overnight at the boutique hotel Victory House, in London’s Leicester Square. You’ll stay in a luxury deluxe room with front row views of the flashing lights and billboards of Leicester Square. Reminiscent of the premieres that take place in the Square’s cinemas, you’ll feel movie magic with the hotel’s cinematic decor. AND we’re throwing in a £200 Theatre Tokens Gift Card, which can be used at London’s West End theatres and at TKTS in Leicester Square. Enjoy the glitz and glam of the entertainment world. 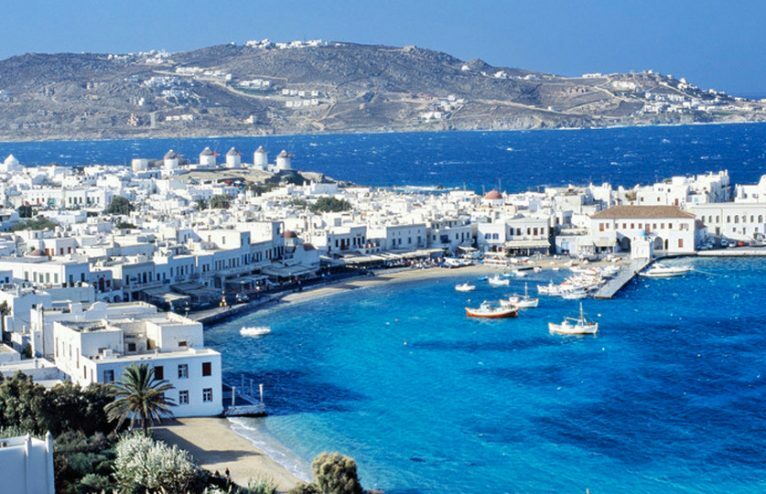 Win a luxe holiday to Mykonos and a Summer Wardrobe!